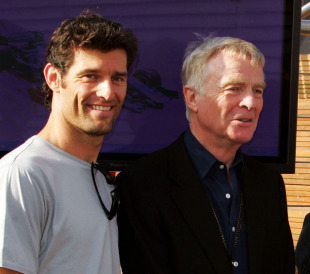 Max Mosley has tipped championship leader Mark Webber to hold onto his position at the top of the standings and take this year's drivers' title in November. Webber has a slender lead over Lewis Hamilton, Sebastian Vettel, Jenson Button and Fernando Alonso, but the ex-FIA president believes the Australian has what it takes to hold off the competition. "He is very experienced and mentally strong," Mosley told Germany's Welt newspaper. "He has the makings of a champion. He has improved once again this year as a driver, and is in the best car. I also think the public likes his story - a man who fought for years and could now be rewarded for this admirable energy." Webber is likely to face very stiff competition from his Red Bull team-mate Vettel, but Mosley thinks it is Webber who is "better equipped for the current situation". However, he insists Vettel has "an extremely dynamic driver with a great future". Former Red Bull driver David Coulthard agrees with Mosley that the Red Bull drivers are the title favourites. "People will say I am biased given my professional relationship with the team, but I'm sure they won't thank me for increasing the pressure on them," he said in his latest column for the Daily Telegraph. "The reality is they have had the quickest package all year and the gap, if anything, is growing."